With mile upon mile of young basalt exposed under sparse desert vegetation, southern Idaho can feel like another planet. In fact, the otherworldly landscapes of Craters of the Moon National Monument and Preserve once served as a training ground for Apollo astronauts, who needed to learn enough geology to know which Moon rocks would be best to bring back to Earth. Now a second Idaho landscape is giving scientists insights into extraterrestrial geology. The amphitheater-headed canyons of Malad Gorge bear a strong resemblance to amphitheater canyons of Mars, and one NASA-funded study concludes that both landscapes may have formed under similar circumstances. 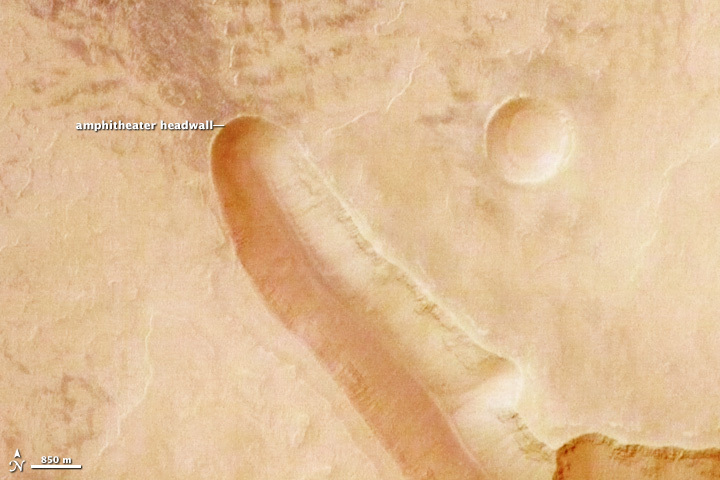 The resemblance between canyons on Mars and Idaho is illustrated in this pair of images. 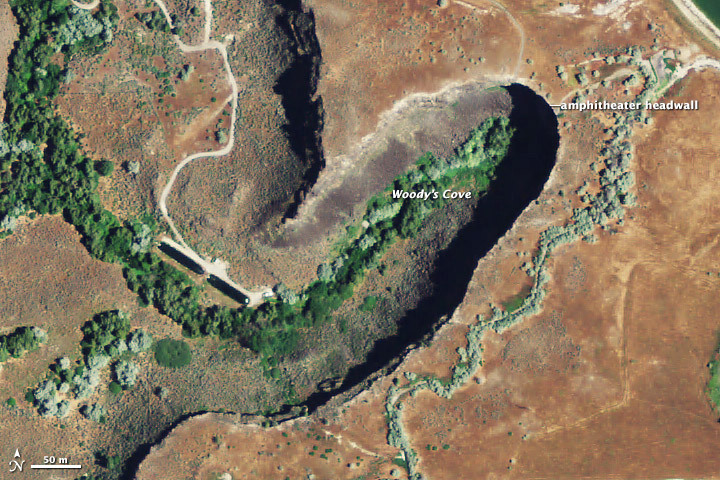 The top image shows Woody’s Cove, one of two amphitheater canyons in the Malad Gorge in south-central Idaho. 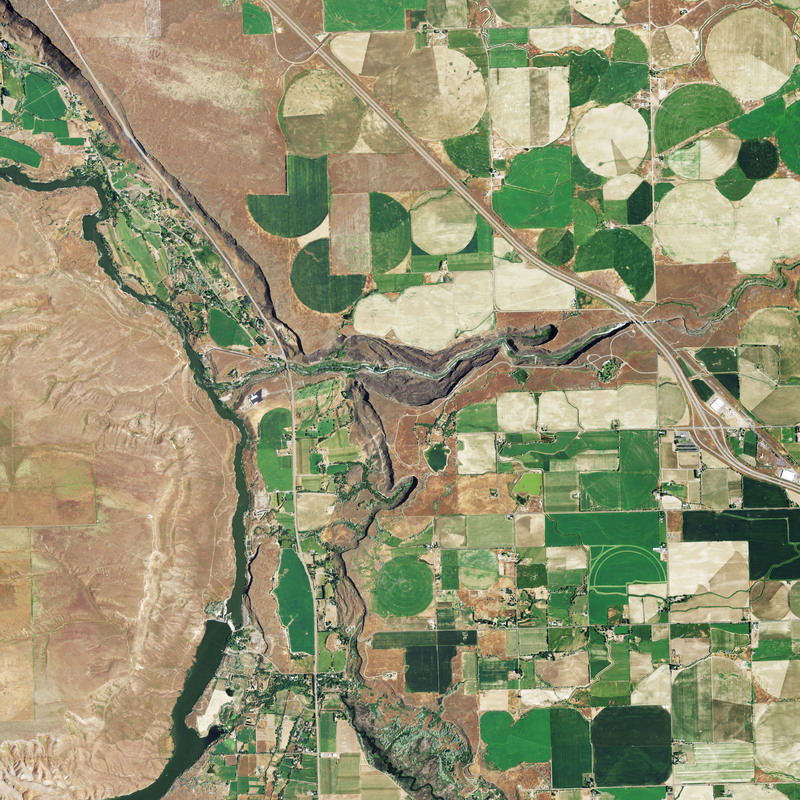 The image is an aerial photograph, taken on June 30, 2011, comes from the National Agriculture Imagery Program. The lower image shows Echus Chasma on Mars; it was acquired on September 25, 2005, by the High-Resolution Stereo Camera on the European Space Agency’s Mars Express. The two canyons are nearly identical in shape, but vastly different in scale. Echus Chasma is about 100 kilometers (60 miles) long and 10 kilometers (6 miles) wide. Woody’s Cove is roughly a third of a kilometer long (a quarter mile) and a tenth of a kilometer wide (0.06 miles). The canyons share at least one other similarity: both cut into a flat lava plateau. In southern Idaho, ancient volcanic flows piled on top of each other and created stacked horizontal layers of dark-colored basalt. Amphitheater-headed canyons on Mars are probably cut into layered basalt, too, according to a paper published by Michael Lamb, Benjamin Mackey, and Kenneth Farley in the Proceedings of the National Academy of Sciences. There are competing theories for how canyons on Mars formed, and knowing something about the formation of Woody’s Cove and neighboring canyons in Idaho could improve our understanding of what happened on Mars. One theory for the formation of amphitheater-headed canyons is that groundwater erodes soft underlying rock, allowing harder overlying rock to collapse. But Lamb, Mackey, and Farley found evidence that the origin of Malad Gorge was far more dramatic. First, the rock is scoured with subtle grooves that point to water flowing over it. Second, the boulder debris usually left after a groundwater-induced collapse is missing entirely, as is the undercut slant to the canyon walls. Instead the walls are straight, and empty pools sit within the canyon head—such as might form beneath a waterfall. These observations and a few dated rock samples indicate that Woody’s Cove and the neighboring canyons of Malad Gorge probably formed in a mega-flood about 46,000 years ago. The flood was potent enough to hollow out the canyon and carry the debris away. As the water washed over the lava plain and into the canyons, it created large waterfalls, which are preserved today as now-dry amphitheater headwalls. If Echus Chasma formed in a similar way, then Mars had a very wet past. 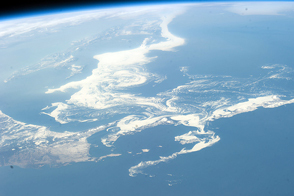 It would have included short, highly intense floods—such as from a dam burst or lake spillover like those that occurred at the end of the last ice age on Earth. Echus Chasma image copyright European Space Agency. 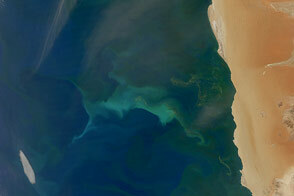 Aerial photograph from the National Agriculture Imagery Program (NAIP) provided by the USGS Earth Explorer. Caption by Holli Riebeek with review from Michael Lamb. 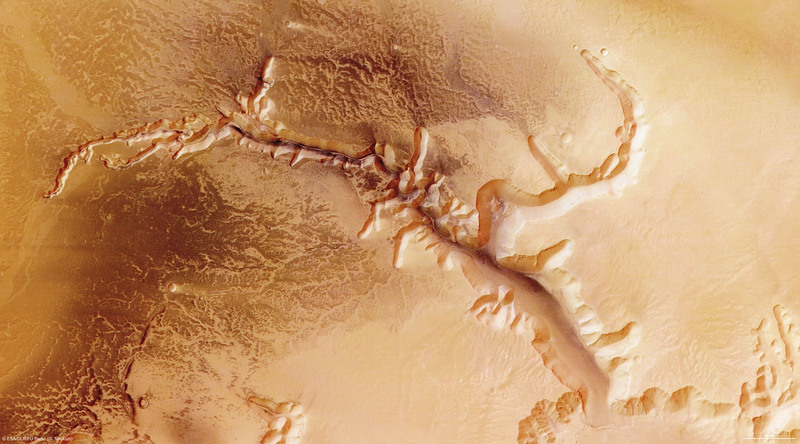 Canyons on Mars show a striking similarity to a handful of canyons on Earth. Could they have had the same type of watery origin? Caltech (2013, December 17) Megafloods: What they leave behind. Accessed April 22, 2014. Caltech Library (2014) Amphitheater-headed canyons formed by megaflooding at Malad, Gorge, Idaho. Accessed April 22, 2014. European Space Agency (2008, July 14) Echus Chasma. Accessed April 22, 2014. Idaho State Parks and Recreation Thousand Springs State Park Malad Gorge Unit. Accessed April 22, 2014. Lamb, M.P., Mackey, B.H., and Farley, K.A. (2014, January 7) Amphitheater-headed canyons formed by megaflooding at Malad Gorge, Idaho. Proceedings of the National Academy of Sciences. Accessed April 22, 2014.